Grand Central Publishing, 9781538714836, 336pp. 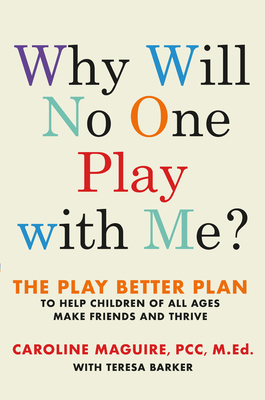 From renowned parent expert Caroline Maguire, WHY WILL NO ONE PLAY WITH ME? is a groundbreaking program that has helped thousands of children struggling with social skills to make friends, find acceptance, and have a happy childhood. Every parent wants their child to be okay--to have friends, to be successful, to feel comfortable in his or her own skin. But many children lack important social and executive functioning skills that allow them to navigate through the world with ease. With compassion and ease,, this program gives parents a tangible, easy to follow guide for helping kids develop the executive function and social skills they need to thrive.